Two New Jersey men were arrested at JFK International Airport Saturday night in an alleged terrorism plot involving a radical Islamic group in Somalia, NJ.com reported. NEWARK - Two New Jersey men were arrested at JFK International Airport Saturday night in an alleged terrorism plot involving a radical Islamic group in Somalia, NJ.com reported. The men were charged with conspiring to commit an act of international terrorism through a group tied to Osama bin Laden’s al-Qaida network, NJ.com reported, citing unidentified officials. NJ.com is the website for the Newark Star-Ledger and affiliated newspapers. Jose Lozano, a spokesman for the state Office of Homeland Security and Preparedness, confirmed two arrests at JFK but would not provide details. NJ.com reported that the two men had been under investigation since 2006 and that an undercover New York City police officer had infiltrated their circle of friends. 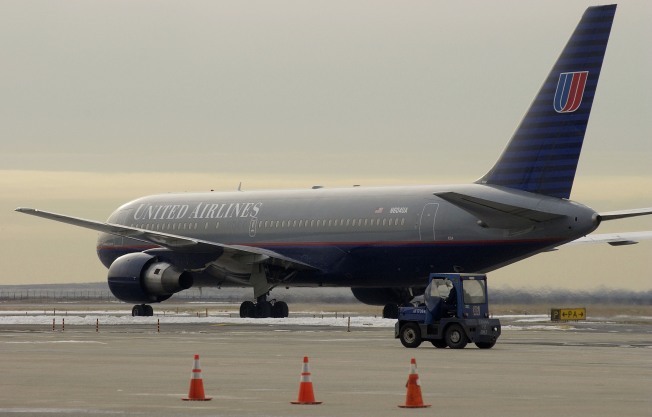 The two were identified as Mohamed Hamoud Alessa, 20, of North Bergen, and Carlos Eduardo Almonte, 26, of Elmwood Park, who were arrested waiting to board separate flights to Egypt. Both are believed to be American citizens, NJ.com reported. They are scheduled to appear Monday in U.S. District Court in Newark. Authorities told NJ.com that the men planned to join up with al Shabaab, an Islamist group based in southern Somalia. Al Shabaab, whose full name means "Mujahideen Youth Movement," is reported to have had ties to al-Qaida since 2007. Last year, federal authorities in Minnesota charged 14 men connected to a plot designed to entice young Americans to join Shabaab. A March New York Times article described al Shabaab as one of Africa’s most fearsome Islamist groups, "terrorizing the Somali public, chopping off hands, stoning people to death and banning TV, music and even bras in their quest to turn Somalia into a seventh-century-style Islamic state." The Times said al Shabaab had been drawn increasingly close to al-Qaida, prompting concerns that it might spread into Kenya, Yemen and elsewhere.